For those in the know (a.k.a. older generation), the Magnolia House was an institution that rewarded the good children with melty desserts after dinner and fond times with family and friends. I was one of those who mourned when it finally closed its doors a few years ago. 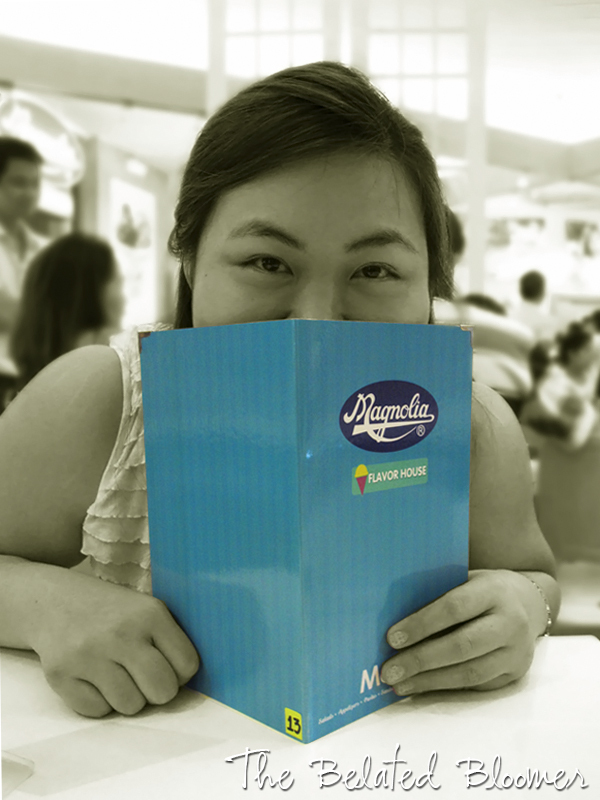 So imagine my glee when I found out that the Magnolia Flavor House has been resurrected! It is now located at Robinson's Magnolia in New Manila, Quezon City. Standing in the center of the mini-park, it is a glorious sight that promises of sweet, sweet desserts and new memories to be made. I guess I wasn't the only one anticipating of its opening. It was almost a full house with tables of dating couples, young parents and their children, senior citizens and groups of teenagers. 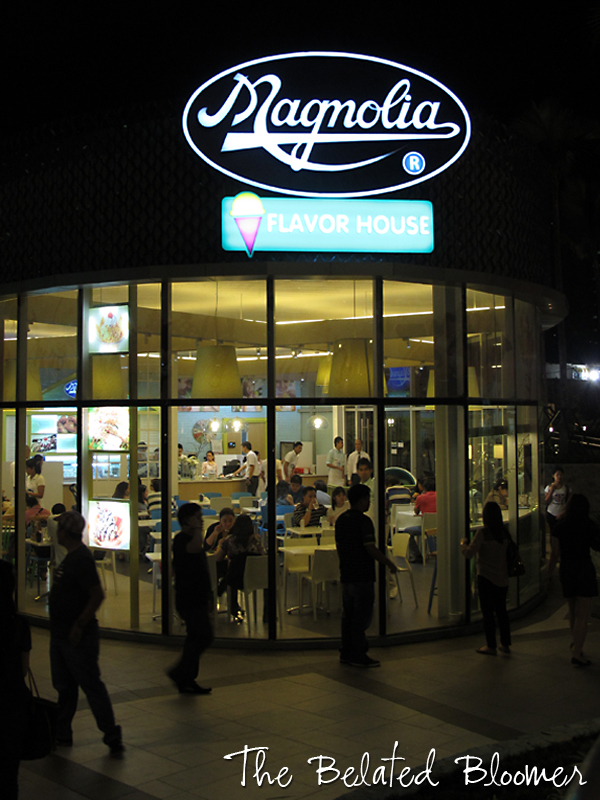 I can just imagine young parents introducing Magnolia Flavor House to their children, a new generation of little sweet-toothed customers. 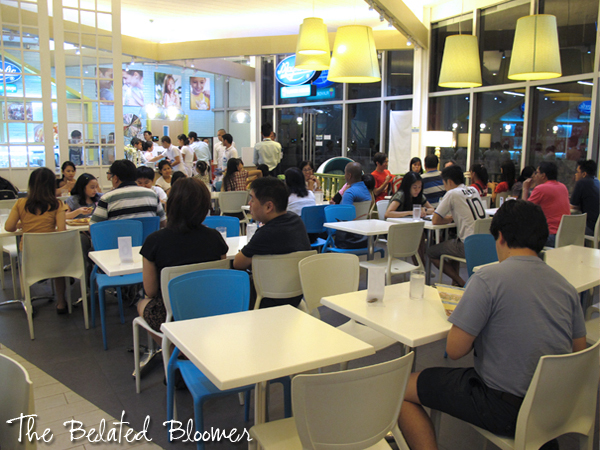 Apart from desserts, the new Magnolia Flavor House also had its offerings of savory dishes. 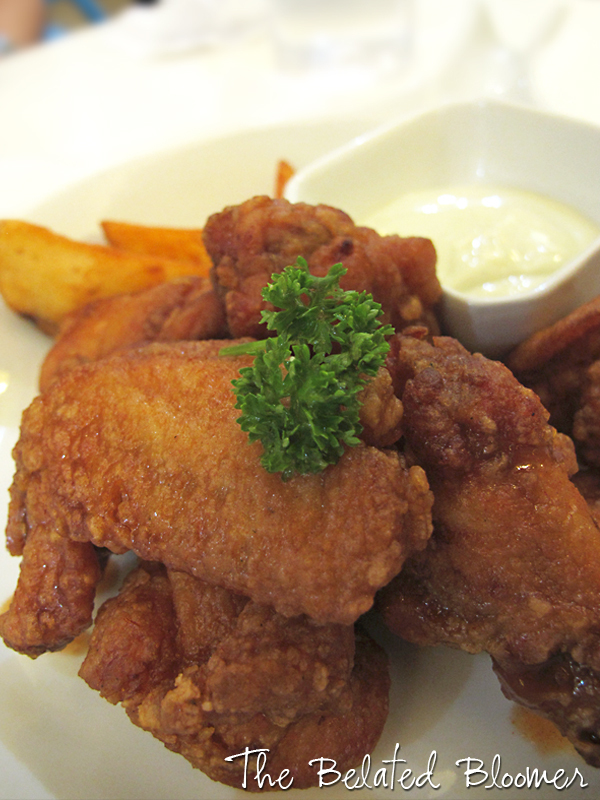 Their Buffalo Wings (php260) were on the sweet rather than the hot and tangy side, so it is more kid-friendly. We were approached the manager who asked whether we preferred the sour cream or blue cheese dip. I liked the latter. 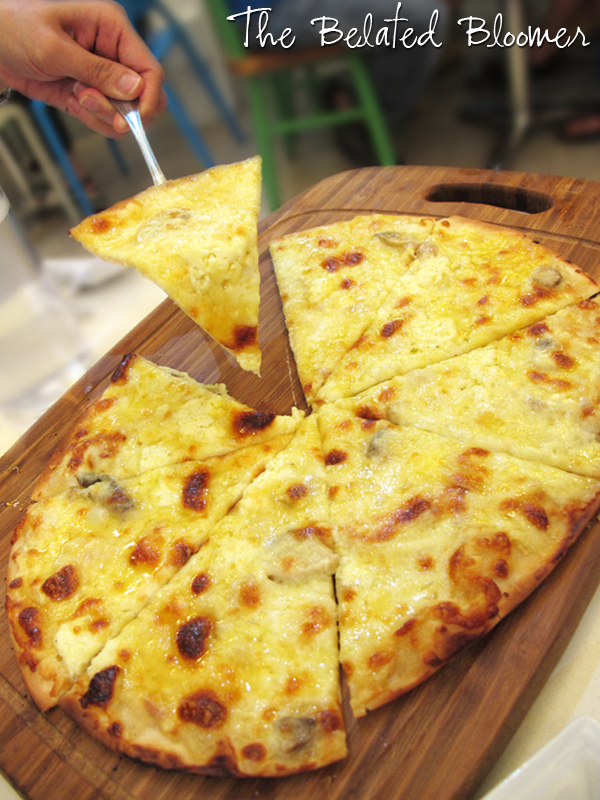 The Four Cheese Pizza (php290) was had a crispy, thin crust that I liked. The cheese topping was quite salty for me though, but cheese aficionados like my sister would love this, especially when eaten with drops of Tabasco. Three scoops of vanilla, chocolate and another vanilla, sprinkled with mini marshmallows and topped with three bite-size pieces of fudgy brownies. You know how some brownies are so fudgy and chocolatey, they make you wish you had a glass of milk every time you take a bite? These were the kind of brownies that also made me glad I had ice cream to eat it with. This might not be the plate of clown ice cream I used to eat when I was little, but this grown-up specialty still pleases the kid in me. Yes it is! :D Thanks Ivana! sounds so good!! I'm drooling over that 4 cheese pizza! That mac and cheese is making me drool, it looks sooo delicious! This place looks awesome. I actually think this is the second time I've heard of it, even though this isn't anywhere near my part of the world. It does make my mouth water. I know. Food photos can induce cravings! 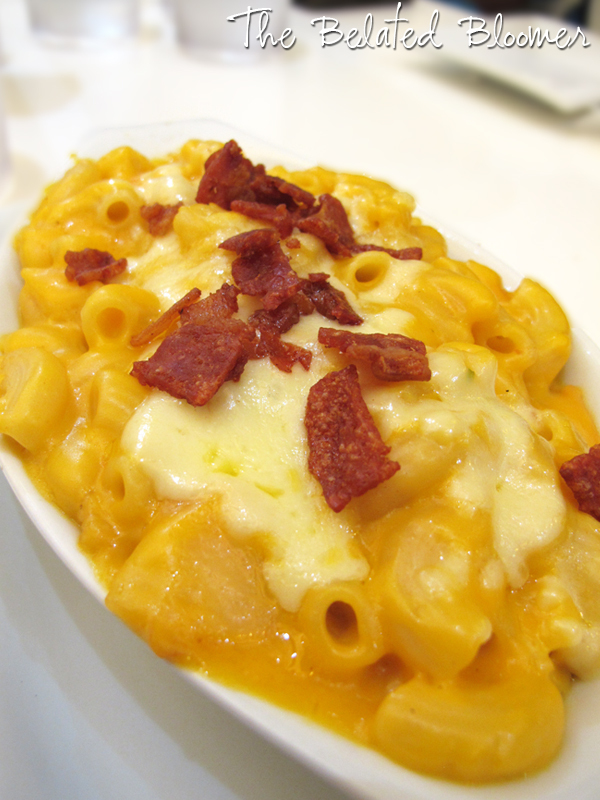 The mac n cheese has got me drooling!! It tends to do that to readers! Magnolia kid ka rin? :D Haha! These food look absolutely delicious. Following you now too thanks for visiting and come again soon. hi! i'm a magnolia kid too! 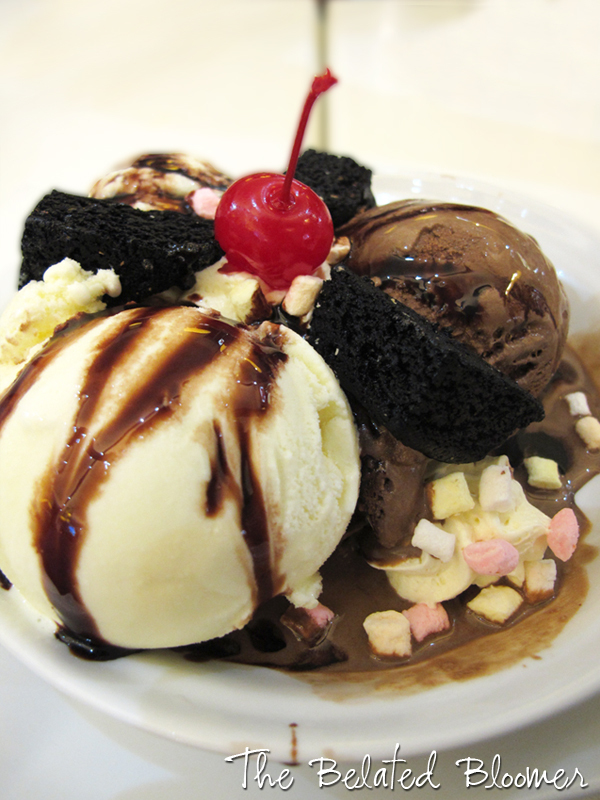 ;) and i'm sooo dragging my hubby to go to this ice cream parlor/resto soon. thanks for the heads-up!